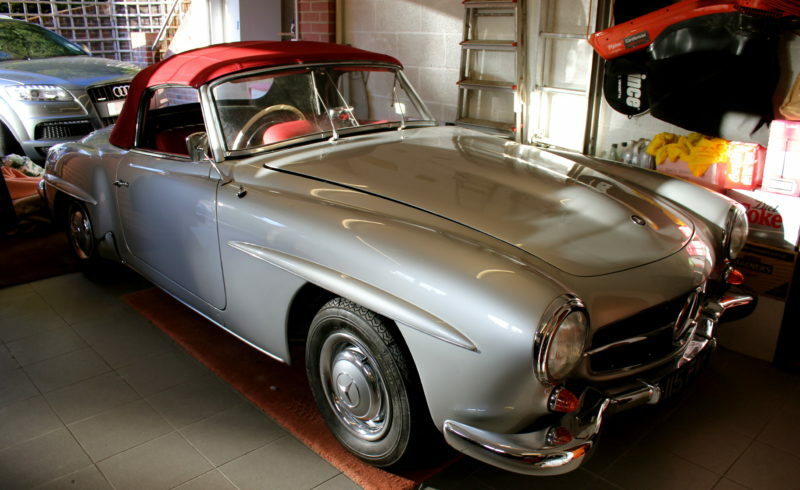 You are looking at a 1962 Mercedes 190SL in superb condition. The SL was bought new from Black & White garage in Harvington, London. It has had no expense spared on the improvements made during the years of ownership by the current owner. It has had a full re-spray in Mercedes silver, a brand new custom made convertible hood with tonneau cover. The interior has been completely re trimmed in Mercedes grade leather fabric and looks better than new!! Including new mats and the dashboard trimmed in matching red leather. It has Full Main dealer service history from New all in the original service book!! It has now covered 87,000 miles. It retains the original registration plate from new and only has had 1 previous owner.